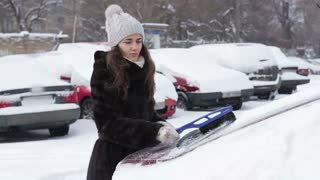 Search Results for "cars in snow"
Girl cleans a car from the snow. A lot of snow. Car snowbound. State of emergency. Cars covered with snow. Girl cleans his car from the snow. Snow strew the cars. Woman cleans with brush car from the snow. Road transport in the winter. Auto road covered with snow. Wheels of cars close up. Dangerous road. Sticking of wet snow. 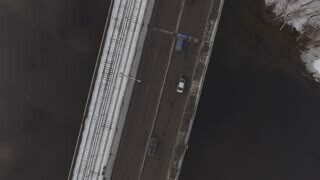 A tilt up winter aerial establishing shot of cars traveling over snow covered roads in a rust belt residential neighborhood. Pittsburgh suburbs. 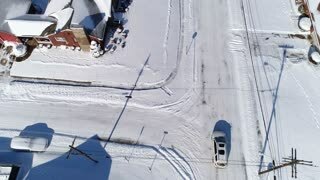 A slow reverse winter aerial establishing shot of cars traveling over snow covered roads in a rust belt residential neighborhood. Pittsburgh suburbs. 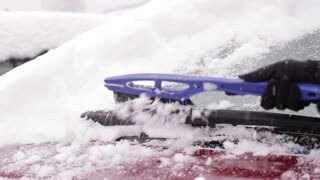 Windshield wipers brush away the snow from a car's windshield. SLOW MOTION: Tractor with a snow plough and cars drive down the snowy road. 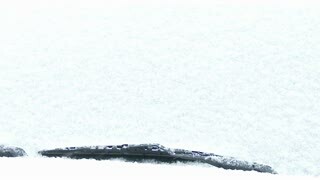 Close-up of windshield wipers brushing away the snow from a car's windshield. Highway through the forest. Winter forest. Cars travel in the winter woods. 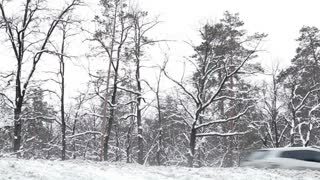 Forest in snow. 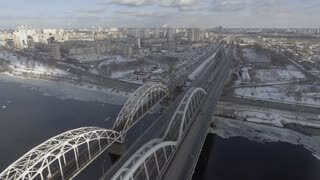 Traffic in the winter. Vehicles in winter. Snow falls on the road, traffic of cars, poor visibility. 1940s: Car headlights. Men stand around car in snow. Cars drive through woods along snow covered road. Man with rifle stands on roadside. Little girl with father cleans a car from the snow. A lot of snow. Car snowbound. State of emergency. Cars covered with snow. Cleaning Snow and Ice off the Car's wind shield window. Slow Motion, 4K DCi. 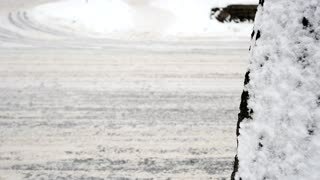 Unrecognizable man or woman brushes off the snow from the parked car. 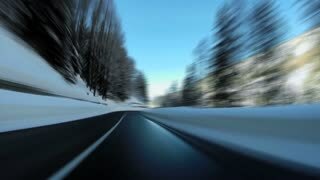 Winter snow storm, safe driving, weather challenge. The car is moving along a forest snow-covered road. Snowflakes fall on the windshield of the car. It's snowing in the forest. United States: 1980s: close up of hand on car engine. Boys prepare cars for winter. Boy wipes car in snow. Boy climbs into car. Boy puts on seatbelt and reverses. United States: 1980s: view from car windscreen as it travels along road in snow. 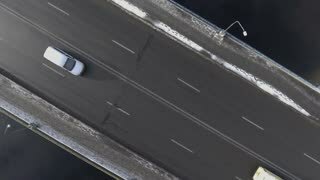 Two cars pass on snow covered road. Feet on pedals in car. 1940s: Snow covers car near woods. Snow falls on car in mountain area. United States: 1980s: cars drive on snow covered street in city. Speed limit 30 sign. Car drives over bump on snow covered road. Snow covered residential street with moving cross traffic and cars in snow. A man cleaning his car from snow on a street in full snow chaos. 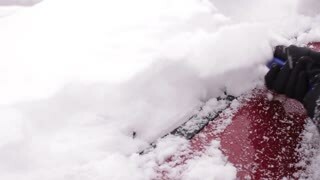 Woman removing snow from her car. Other cars covered in snow parked along street.